"For these brothers, creating this helicopter is the realization of a lifelong ambition. When they were kids, they were fascinated with the 'ti totè', a local slang for helicopters. 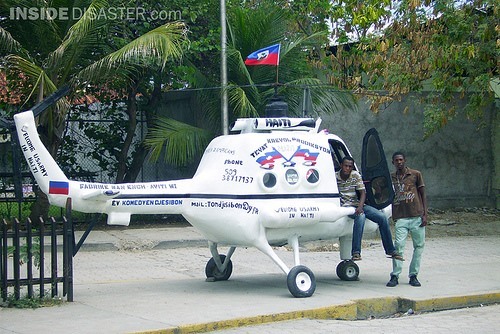 The two started to think about making their project a reality when helicopters started to frequently fly over Haitian soil in the past few decades. They had been searching about helicopters for years before they finally figured out the mechanics of what makes helicopters fly. Even once they understood the process, however, they still needed more support and knowledge before they could make it fly. They began building the chopper in March 2007, and finished it in March 2008. The two participated in a local competition with their helicopter where they made it fly for several minutes, and won the first prize. They tell me that at the same time, a local company offered them $13 000 USD for their creation, but they turned them down. They wanted to receive something more important than money, like training or continued education. 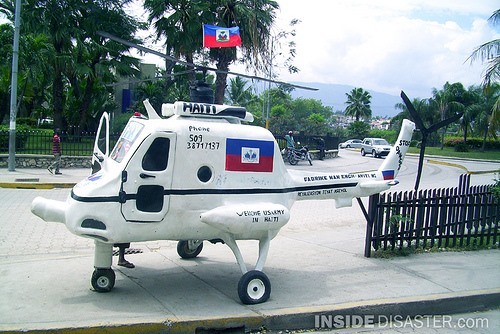 They also wanted it to become a part of Haiti's national heritage." Image Credit to Inside Disaster. Previously, Chinese Farmer Builds Psycho-Copter From Scratch. 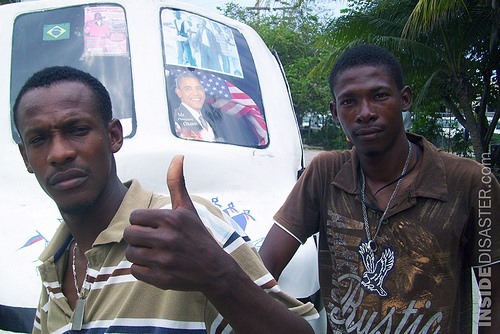 Hey, NO AMERICAN FLAGS ALLOWED IN HAITI!